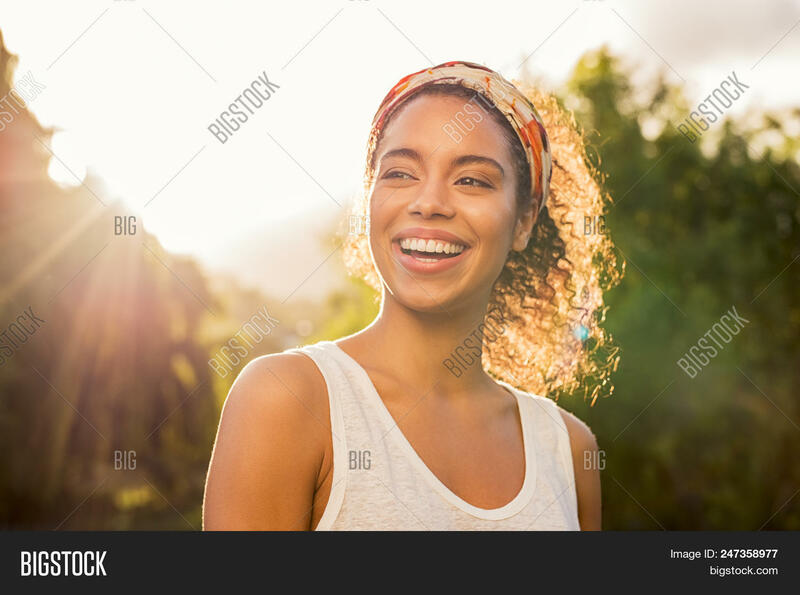 Portrait of beautiful african american woman smiling and looking away at park during sunset. 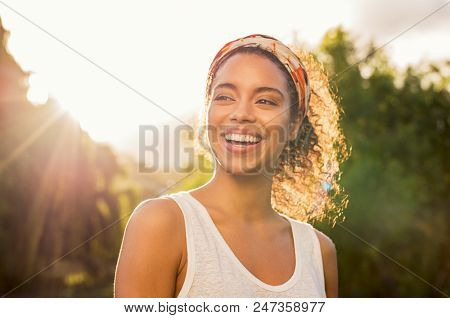 Outdoor portrait of a smiling black girl. Happy cheerful girl laughing at park with colored hair band.